Varieties of marijuana are displayed at a dispensary in Denver. "We thought, they see this, they’re going to pass it," Storck said. "Well, it didn't happen." 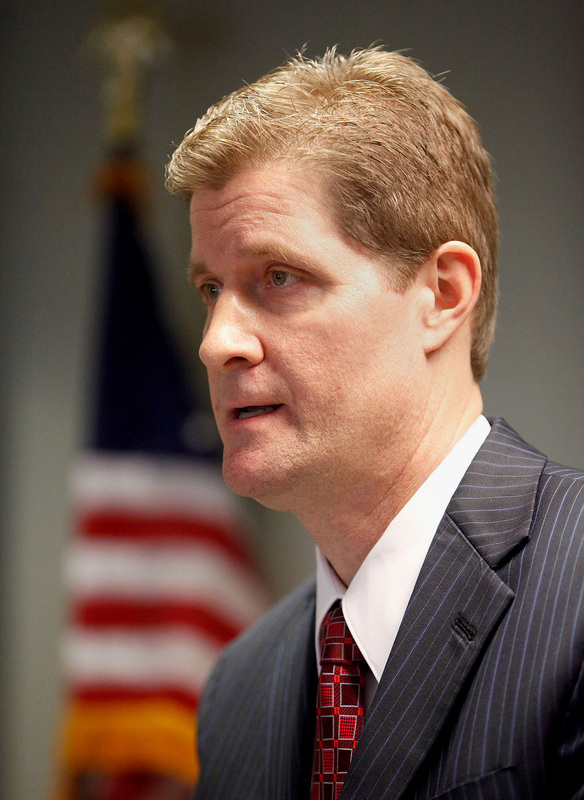 A bipartisan bill sponsored by former Rep. Gregg Underheim, R-Oshkosh, did not make it out of committee. Madison resident Gary Storck has suffered from glaucoma since he was a child. When he was a teenager, Storck read that marijuana could relieve the pressure and pain in his eyes, and he has been using it as a medicine ever since. 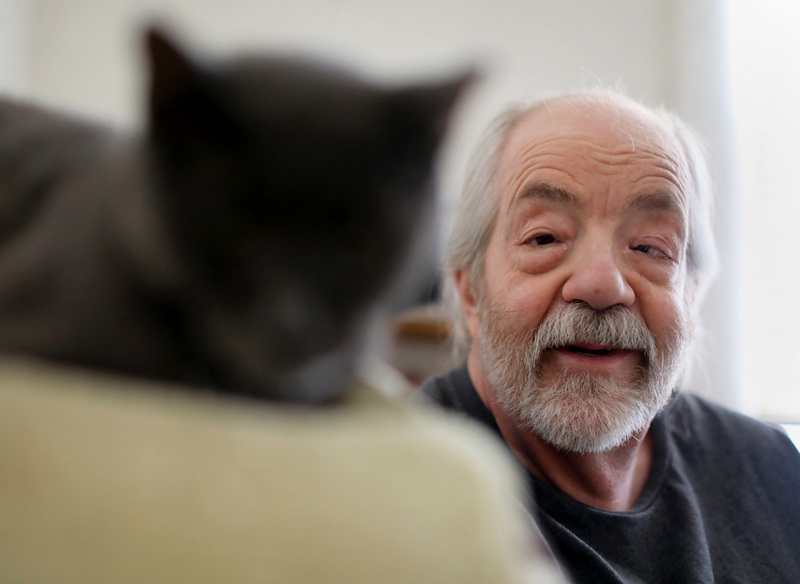 He is seen in his apartment with his cat, Roy, on March 20, 2019. 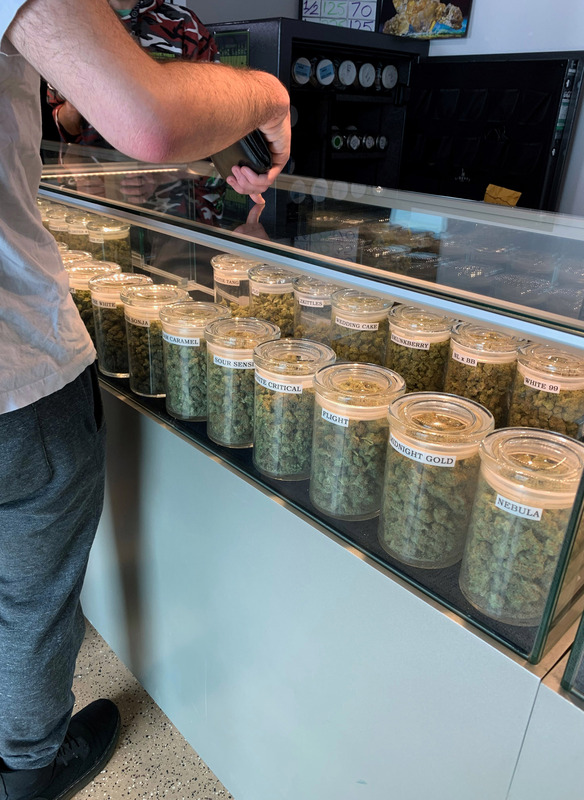 A 21-year-old University of Wisconsin-Madison student shops for marijuana at A Cut Above Dispensary in Denver on March 23, 2019. Colorado is one of 10 states where recreational and medical use of marijuana is legal. Another 23 states allow cannabis only for medical uses. Both are illegal in Wisconsin. If Illinois were to legalize recreational marijuana — which newly elected Democratic Gov. J.B. Pritzker lists as one of his top priorities — Wisconsin residents could drive a short distance for an over-the-counter purchase. With such easy access, Storck said, "I don't know how long prohibition can last." "The reason I say it's coming is that pretty much across the state, law enforcement has de-emphasized marijuana enforcement, particularly for possession," said Chisholm, a Democrat. He noted that in many areas, police officers prefer to give tickets rather than arrest those caught for possession of small amounts of marijuana. John Chisholm, Milwaukee County's Democratic district attorney, says legalization of marijuana in Wisconsin appears to be imminent. While some Republicans in the Legislature favor legalizing cannabis for medical uses, GOP leaders remain opposed to full legalization. Tony Evers' proposals have been lauded by Democratic state legislators — and even some top law enforcement officials — who have seen support for legalization grow in Wisconsin in recent years. In January, a Marquette Law School Poll found that 58 percent of Wisconsinites believe marijuana should be legalized and regulated like alcohol, with 36 percent opposed. Wisconsin Gov. Tony Evers has proposed decriminalizing possession of small amounts of marijuana, legalizing cannabis for medical uses and expungement for past marijuana possession convictions. Here he greets members of the Assembly and Senate after giving his first State of the State address in Madison at the State Capitol on Jan. 22, 2019. Evers' plan could help standardize marijuana enforcement in the state. The city of Milwaukee and Dane County have already decriminalized possession of small amounts of marijuana. 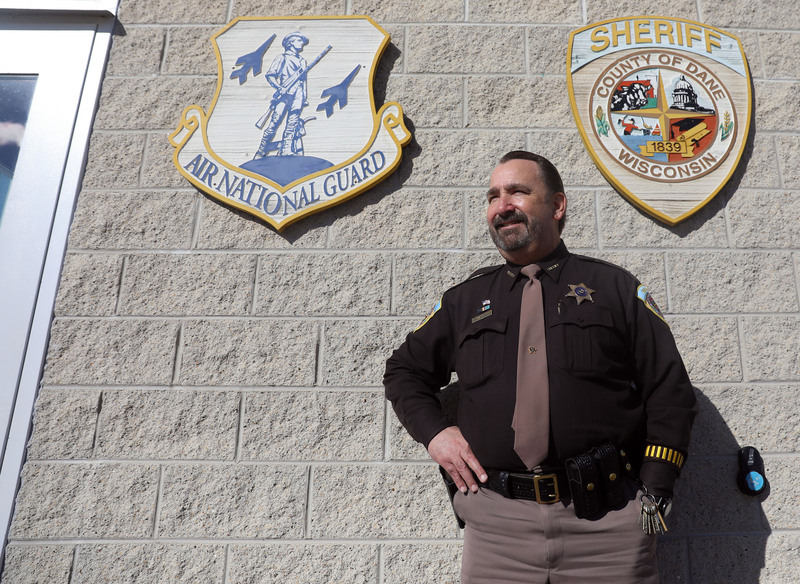 However, other jurisdictions continue to aggressively enforce anti-possession laws, Dane County Sheriff Dave Mahoney said. While Mahoney, a Democrat, has no problem with residents of Dane County who are "smoking a doobie," he said statewide law enforcement groups would oppose legalizing marijuana for recreational use. Mahoney said he has moved towards the center of the legalization debate — in part because members of his family use cannabis medicinally — but he does not support recreational marijuana at this time. Dane County Sheriff Dave Mahoney favors decriminalizing possession of small amounts of marijuana and legalizing cannabis for medical uses. But he opposes full legalization until more studies are done about its effects in other states. He is seen at the Dane County Law Enforcement Training Center in Waunakee on March 15, 2019. Evers' plan has also been endorsed by other Wisconsin top law enforcement officials, including Milwaukee County DA John Chisholm, who believes that the proposal could help to reduce disparities in how marijuana possession is treated around the state. "I think that what the governor's attempting to do is just saying, 'Look, major sections of [local] ordinances allow less than 25 grams to be a ticket [rather than a crime],'" Chisholm said. "Why not just incorporate that into the state law, and that does away with some of the unequal enforcement rates." 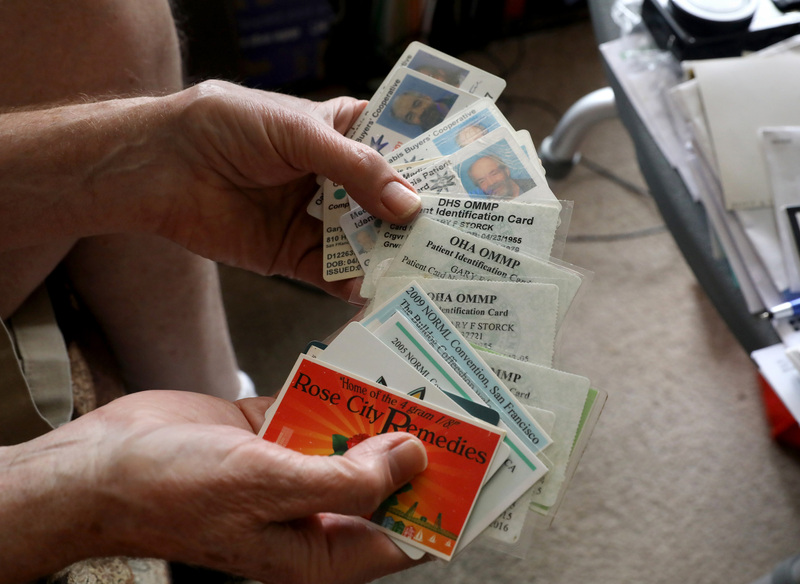 Madison resident Gary Storck shows out-of-state medical marijuana cards and marijuana-related memorabilia. Storck uses the cards under an obscure Wisconsin law that allows patients to have a controlled substance with a valid prescription or order from a doctor. Storck uses cannabis to relieve the symptoms of glaucoma. He is seen in his apartment on March 20, 2019. SAM spokesman Colton Grace said the group pushes for alternatives in states considering legalization, including allowing medicinal uses as approved by the U.S. Food and Drug Administration. "We don't support the status quo … we support decriminalization," Grace said. The group's message: "Decriminalize, don't legalize." 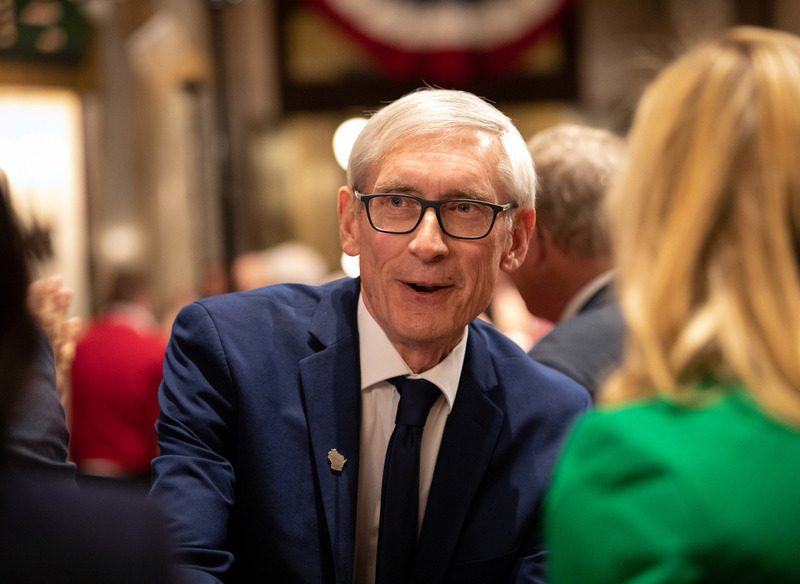 An important provision of the proposals is the legalization of medical marijuana, which Tony Evers says was influenced by his experience as a cancer patient. Evers beat esophageal cancer about 10 years ago. Some cancer patients use marijuana to combat nausea from chemotherapy and to curb cancer pain. Alan Robinson, executive director of the Wisconsin chapter of the National Organization for the Reform of Marijuana Laws, said he uses cannabis to reduce symptoms of anxiety and depression and post-traumatic stress order, or PTSD, which he developed after the drug overdose death of a close friend. Alan Robinson, executive director of the Wisconsin chapter of the National Organization for the Reform of Marijuana Laws, says his organization is expanding and opening new chapters in the state. Public support for marijuana legalization has grown in recent years, but he says many Republicans who run the Legislature oppose it. He is seen on Jan. 31, 2019 at the University of Wisconsin-Madison. Greg Kinsley is a medical marijuana advocate with Crohn’s disease, an inflammatory bowel disease that can cause abdominal pain and severe diarrhea. In 2014, Kinsley used a doctor's note to avoid possession charges under an obscure Wisconsin law that allows patients to have a controlled substance with a valid prescription or order. "We are a country of laws," he said. "If the law's not quite right, we as a people need to change that." 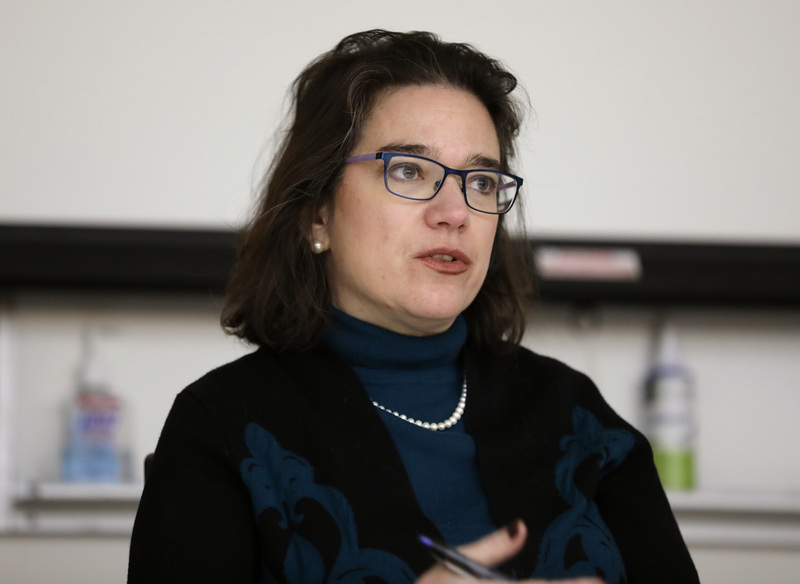 In 2019, Sargent is working on a new bill that she said will go beyond Tony Evers' proposals and call for full legalization for both medical and recreational marijuana. As with Evers' plan, Sargent's bill would also allow nonviolent offenders to wipe marijuana-related possession convictions from their records "in ways that they currently cannot." 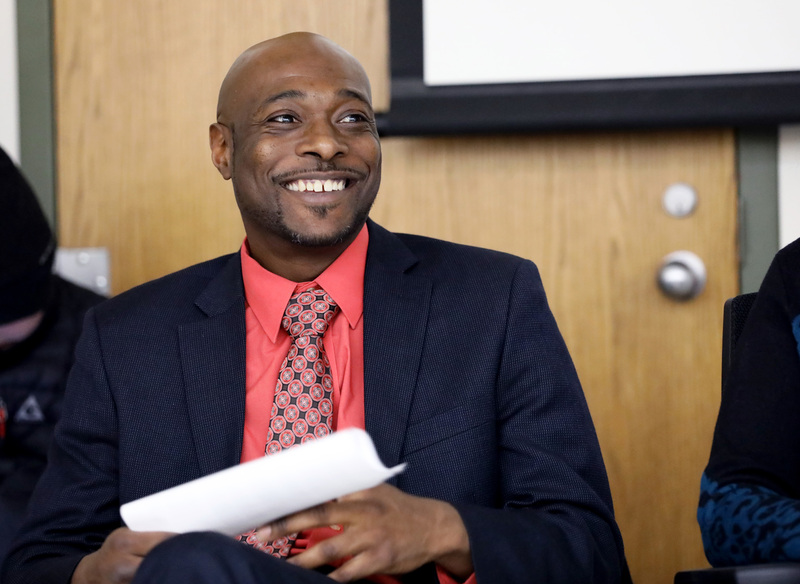 When asked what he would say to lawmakers in Wisconsin in a 1-minute pitch for legalization, Alan Robinson of Wisconsin NORML responded: "I would definitely try to impress on them that cannabis is likely more popular in their district than they are." John Chisholm believes Evers' proposal represents "an opportunity to educate everybody — even the people that are adamantly opposed to it." Every two to three hours, Madison resident Gary Storck inhales marijuana to relieve the symptoms of glaucoma. Storck is a leading advocate of legalizing marijuana for medical use in Wisconsin. He co-founded the group, Is My Medicine Legal Yet?, and he writes the Cannabadger blog, which tracks proposals to legalize marijuana in the state. He is seen in his apartment on March 20, 2019. 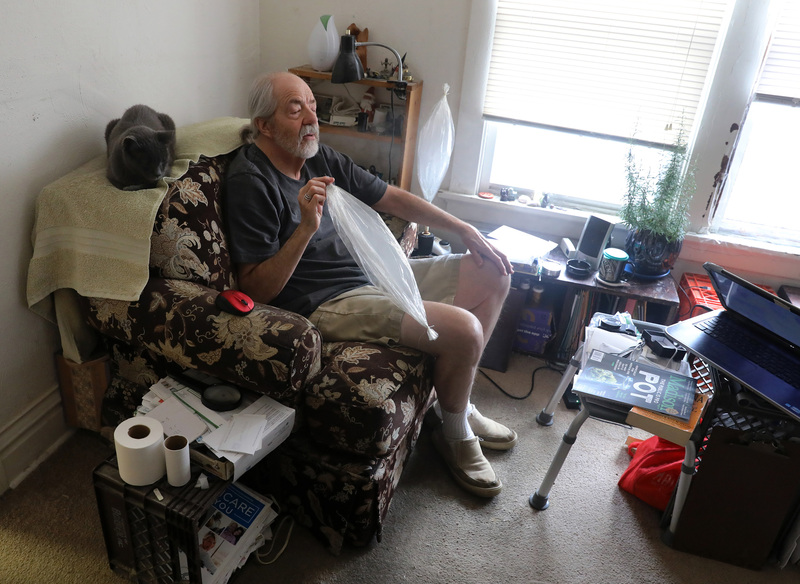 People like Gary Storck, who have long been waiting for legalization, hope that 2019 is not a repeat of the past. This story was produced as part of an investigative reporting class in the University of Wisconsin-Madison School of Journalism and Mass Communication under the direction of Dee J. Hall, managing editor of the Wisconsin Center for Investigative Journalism. The Cannabis Question is a series exploring questions about proposals to legalize marijuana in Wisconsin. The Center's collaborations with journalism students are funded in part by the Ira and Ineva Reilly Baldwin Wisconsin Idea Endowment at UW-Madison. The nonprofit Center collaborates with Wisconsin Public Radio, Wisconsin Public Television, other news media and the UW-Madison School of Journalism and Mass Communication. All works created, published, posted or disseminated by the Center do not necessarily reflect the views or opinions of UW-Madison or any of its affiliates.